Welcome to Techno-Billies: Tidy Up! I have noticed that I spend a great deal of time tidying up. This is not a recent phenomena. 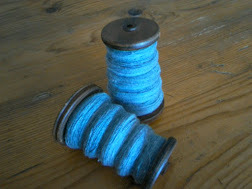 I am an untidy person for most of the time interspersed with bouts of manic tidying. This has chategorised my life for years, maybe forever. I guess its a sign of an untidy mind. 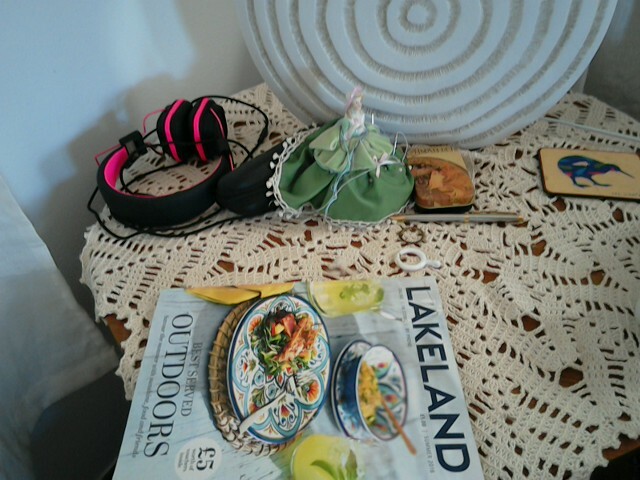 But you know I think I am at my most creative when surrounded by my clutter. And yet I crave a clear tidy space almost on a daily basis. We live in a small house and recently I have found myself day dreaming, more and more about having another bedroom. There are only two of us and we already have a sleeping space on a mezanine floor and a summer/guest bedroom downstairs. So why would I need another bedroom? I think its because I am accumulating clutter once again. Clutter needs more and more space. In particular, drawer or cupboard space. So when I bought myself a couple of new items of clothing yesterday I decided to sort out the clothes storage issue once and for all. This wont be the first time I might add. 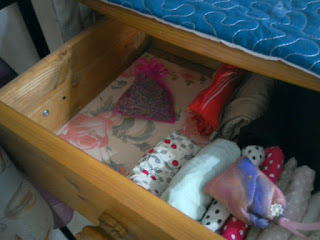 In my search for the perfect storage system I came across the KonMarie method of tidying. A bit of an eye opener in many ways. Not so applicable in many other ways but the method of folding clothes was interesting. 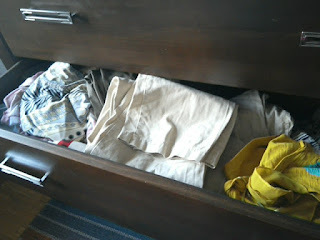 Marie Kondo is a professional de-clutterer. Whoever knew we needed such a thing.? Instead of working to rules such as how long is it since I wore this item? or do I really need it? She asks that we hold an item and question ourselves about whether it brings us joy? Her reasons are that she says we don't hang on to clutter we hang on to the emotions attached to the clutter. Its not something I go along with entirely although I can see the merit of it. 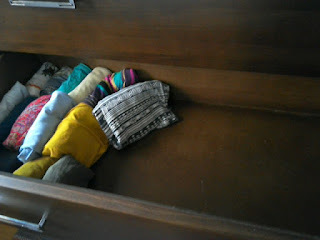 But I have many items of clothing that are designated finca work clothes which do not bring me joy but are perfectly suitable for their purpose and I simply could not do without them. I also have a set of doll clothes knitted by my mother which I cannot let go of... but they don't bring me joy, rather when I look at them or hold them I feel terrible sadness and loss... and I am hanging on to those emotions because I simply cannot let them go. Maybe she is right... it would be good to move on from that but its just a step too far when all you need is a way of making more stuff fit into a smaller space. For now anyway. So, following Ms Kondo's methods I refolded my clothes and after only throwing out two items found I had nearly the whole of one drawer free. Now I secretly think that I could have made the folded clothes even smaller if I had ironed the stuff first. We don't iron here if we can help it, for many reasons, laziness, waste of time, not eco friendly, whose going to see us anyway? She also says that it is isn't just about whether the item brings you joy, but its about caring for and respecting your clothes. Since I hand make a lot of my clothing, and I darn socks (hand made socks) this should be something that resonates strongly with me. Why don't I already do this? No doubt there is more psychology going on here than I thought... but for the moment all I want to do is tidy up! So yes I was very intrigued by the whole concept and its possible that I will be looking into more of her ideas in the future. I wont however be buying the book. 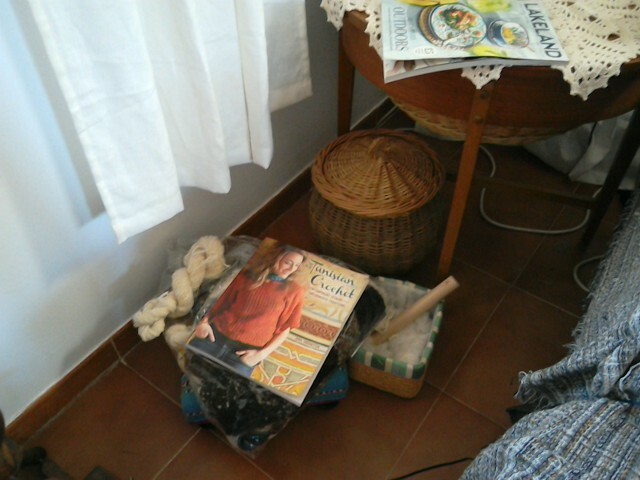 I have limited book space and while cookbooks do bring me joy, a book on de-cluttering wouldn't! Labels: Chit Chat, Clothes, What is a Technobilly? It makes a difference, doesn't it? 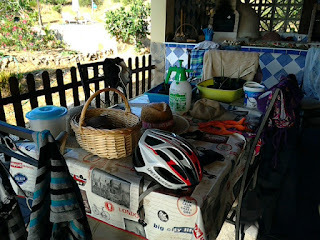 I sorted through a huge houseful of stuff when we were getting ready to move to Belize. It was such a relief to get rid of things that I had kept only because I felt an obligation. It was also sad to get rid of things that truly brought me joy. We still have things in storage in the US, sigh. I love Marie Kondo's folding methods. That is how I keep my clothes for the last year or so. You will be amazed at how easy it is to keep it neat because you can instantly see everything in the drawer rather than having to paw through stacks. I saw Marie Kondo on the Ellen show and thought 'what a bizarre woman'. I've always folded socks and lined them up in the drawer but I question the way she does all the tshirts and tops. I would think they would have more wrinkles. I just don't think of any of my clothes as bringing me joy. I just don't look at them that way. I guess I have some favourites but that doesn't mean I would get rid of the rest, I'd have hardly anything left!! I also have a lot of clutter that, at times, gets out of hand. 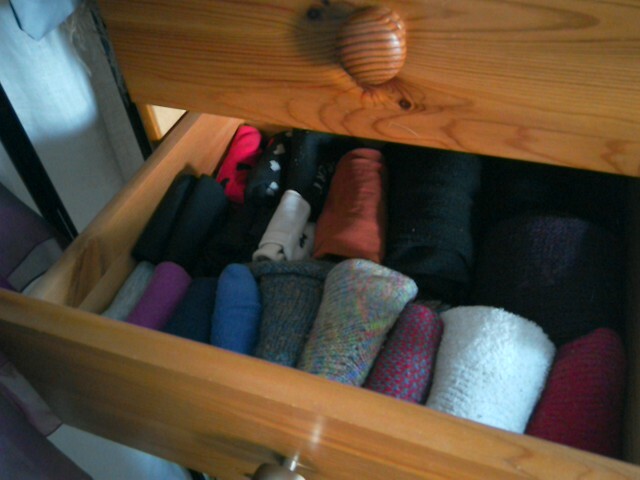 I was very proud of myself a couple of weeks ago, I got rid of over 40 sweaters!!!!! Premenopause I wore sweaters all the time but post menopause is a different story-I'm hot all the time and rarely wear a sweater. Actually the folding of the tops and t shirts - straight off the line without ironing, has left them looking like they were ironed, most strange! Blimey girl, 40 sweaters! Scary! Now if that was me they would have gone into another pile to be cut up and sewn or made into something else - this would have taken me a good couple of years to get around to doing lol! 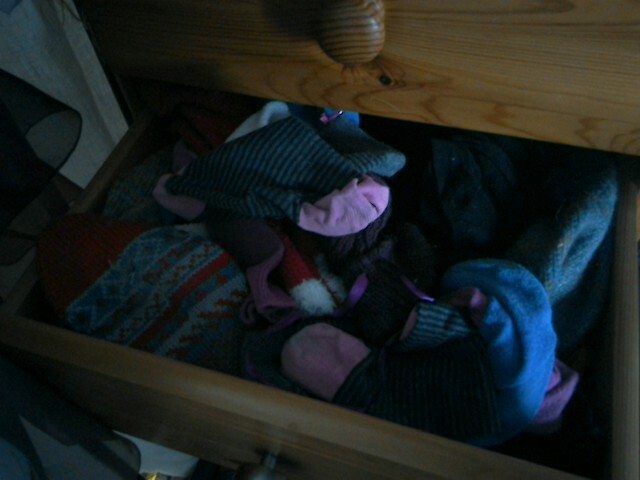 Hi Janice, at the moment the drawers look amazing but it remains to be seen if I can keep it like that! 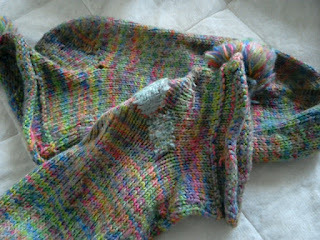 One of the reasons I kept the sweaters around for so long was because I kept thinking I could make other things from them. But the reality is is that I probably never would and in a moment of madness they all went to the charity shop! I'll probably never miss them as most I hadn't worn for years!